Members of the Tech team are involved in inspecting cars to be sure they are properly prepared relative to items of safety. No prior experience is needed. We’ll train you. 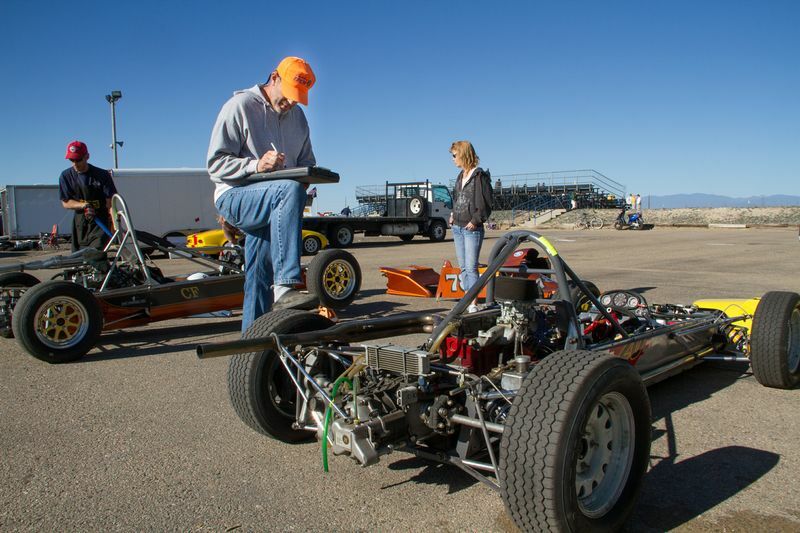 You need not have any knowledge about the complicated details of the various race car classes relative to their RMVR eligibility or its technical preparation. Rather you just need to have an interest in being involved up close and personal with these wonderful classic race cars and have a keen eye for safety related items. 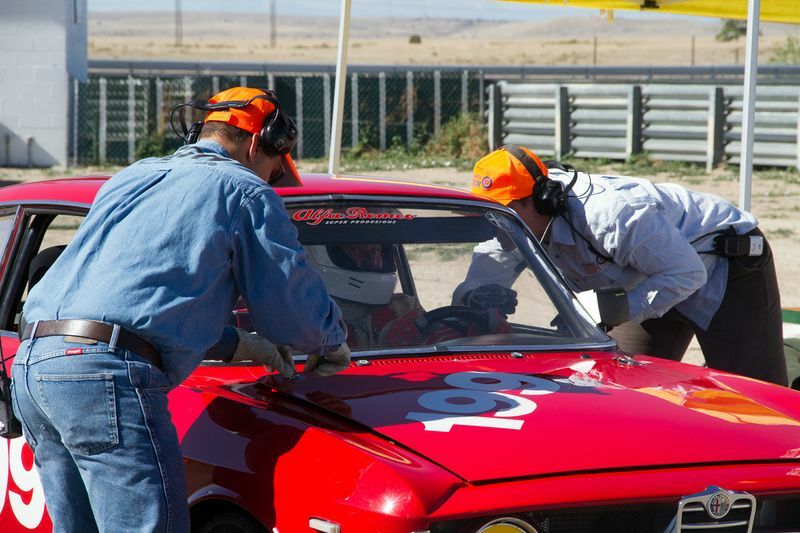 To do this you should become familiar with the RMVR’s Rules General Rules, specifically Section D. GENERAL SAFETY EQUIPMENT REQUIREMENTS, which spells out proper safety equipment for race cars and drivers. You should also feel confident to inspect all the items on RMVR’s Tech and Safety Inspection form for compliance with the above rules and other safety related items. Members of the Tech team come from a wide range of different backgrounds. You don’t need to be a racer. However, if you are trying to decide what type of car to buy and race, helping the Tech Team is a fantastic way to help you decide. If you have ever wondered what it takes to restore and race prepare a car for vintage racing this is a great way to find out. And it’s a great way to meet other members of RMVR and be part of our regular weekend social activities. If you become a qualified inspector, members might contact you and request that you inspect their car. They’ll need to contact you. It’s your call if you want to do it, and if so when and where. Or, you can help out with any of the “tech days” which are scheduled during the pre-season at several locations and dates. Or you can help at the track when there are cars needing an inspection prior to the car racing that weekend. Or, you can become involved in the track-side “hot pit.“ During the race weekend a hot pit is set up on a portion of the pre-grid to inspect cars coming off the track which have been involved in any type of track incident where the integrity of that car may have compromised. Or it may involve inspecting cars which have come in because they have some type of mechanical or safety problem. The hot pit provides an excellent opportunity to get into the real action of vintage racing! in the loop. See how you can join this elite and important team and have a lot of fun doing it. You can even sign up online to help with any particular event this season. Just check the “Tech” button.” To let them know you want to help.